Nothing beats them, and they are so easy to make. 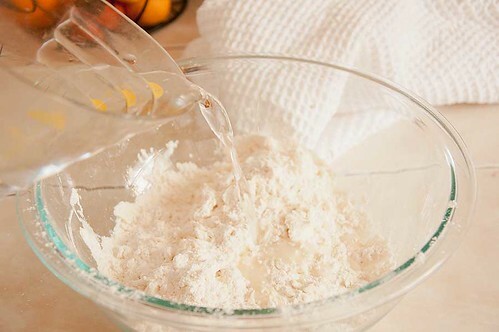 Gather up some flour, baking powder, salt, shortening and hot water. 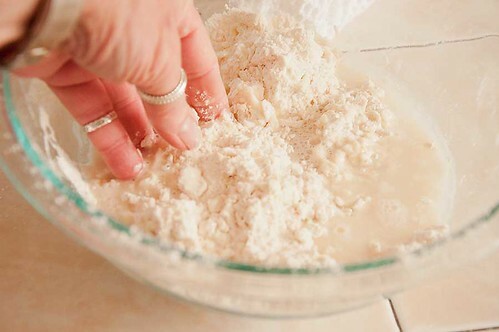 Quickly work the shortening into the flour mixture. Add the hot water. 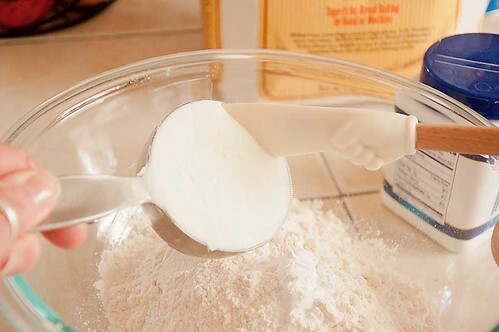 It's better to err on the side of adding too much water, than not enough. 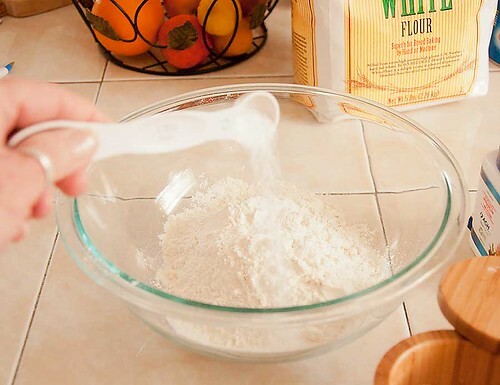 It's so much easier to work in more flour than water. 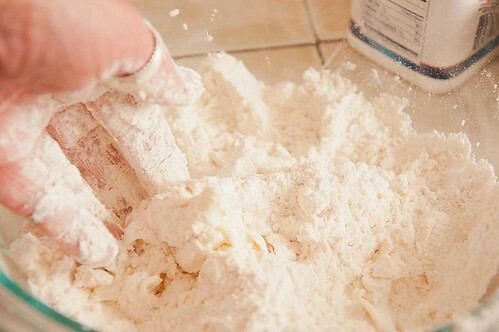 Mix the water and flour together. 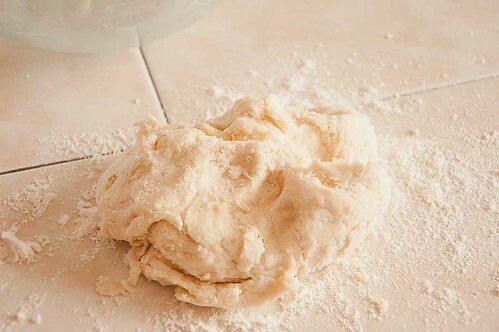 Turn the dough out onto a lightly floured counter and knead a few times, just enough to bring it all together. 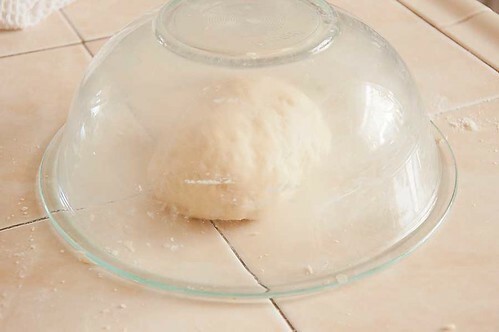 Pinch off a piece of dough about the size of a golf ball. 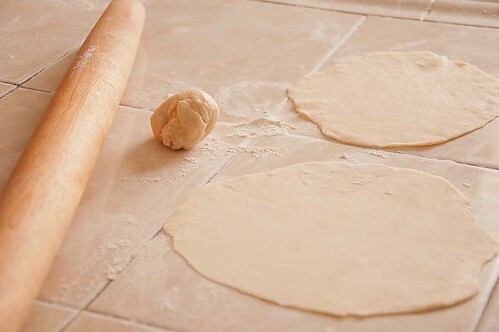 On a lightly floured counter, roll it out. 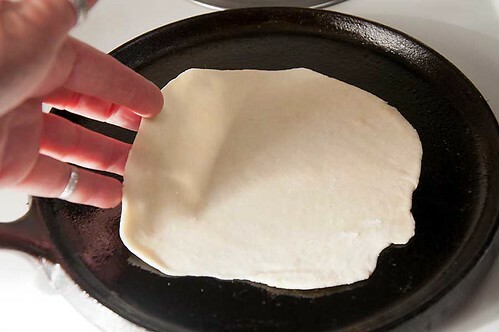 If I ever made a perfectly round tortilla I think I'd faint. This is the closest I've come to it in a long time. 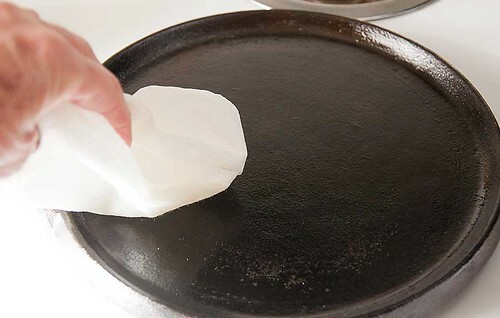 Lightly oil your griddle or fry pan. 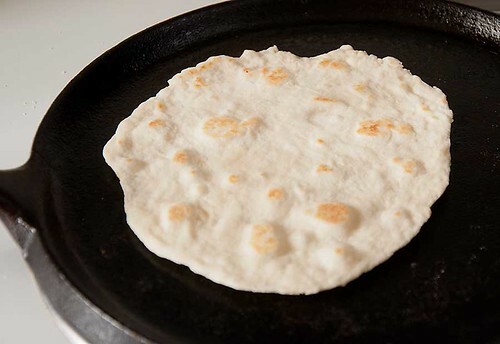 Once the griddle is good and hot, start cooking the tortillas. 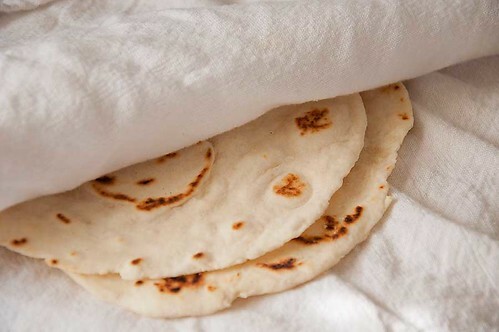 As they cook, nestle them into a tea towel to keep warm and pliable. thick. 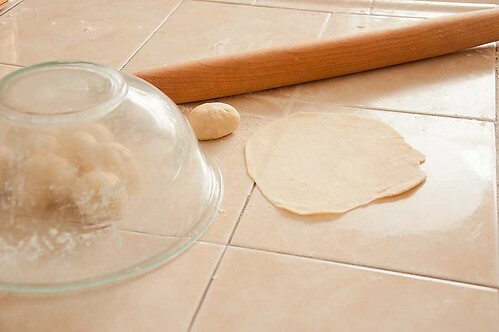 Then, using a rolling pin, roll it twice in the same direction. formed a circle 1/8 inch thick and about 8 to 9 inches in diameter.